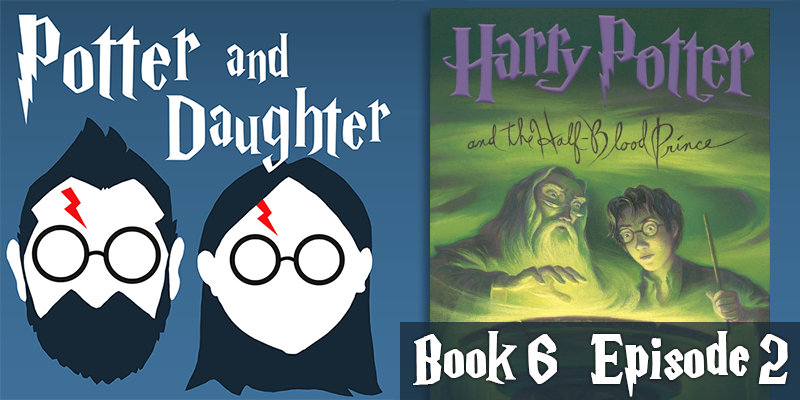 In episode twenty-four of Potter And Daughter Joel and Lily delve into Harry Potter And The Half Blood Prince chapters 7-13. Harry is more suspicious of Draco than he’s ever been, Professor Slughorn courts Harry for the Slug Club, and Snape lands his dream job which might turn into a nightmare for Harry. Harry gets some unexpected help in potions class, Hermione steps out of bounds to aid Ron’s Quidditch career and a Hogwarts student is attacked at Hogsmeade. But, was the attack meant for her, Harry or someone else entirely? Finally Harry, with the help of Dumbledore, begins to learn about the troubling origins and early life of his greatest enemy.